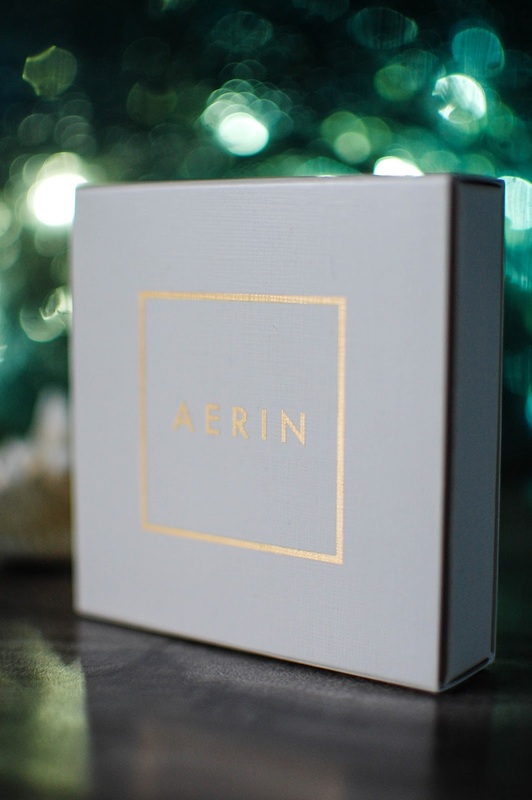 This Aerin perfume sampler was gifted to me from my sweet friend Ellisa quite a while back. I am not sure why it took me so long to get to spraying these on, but this spring break has enabled me to paw through my stash more thoughtfully. I re-organized my perfumes and tucked away my winter and fall scents, which left me more room to explore my spring and summer offerings. I laid eyes on this tidy little box set and knew I wanted to dig in. This set runs about $20 at Sephora. 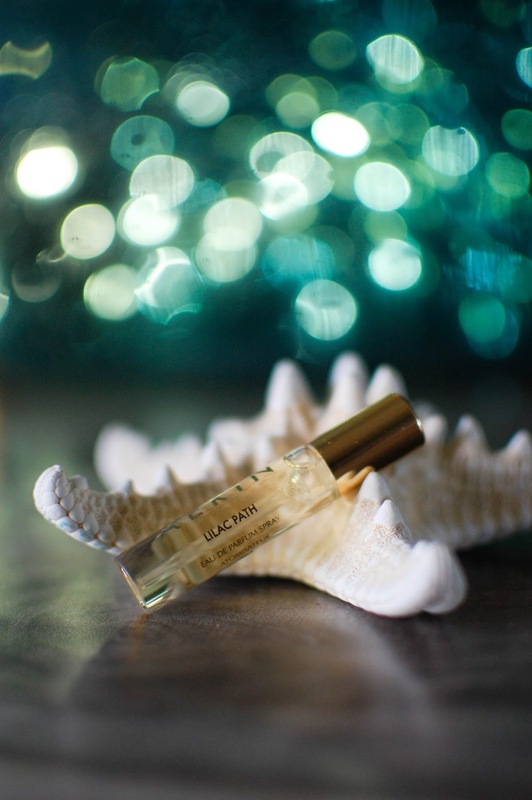 Lilac Path- Notes: Lilac, galbanum, jasmine lactones, angelica seed oil and orange flower. Verdant sparkling top notes of bracing green galbanum and the zest of lime pool into dewy spring meadows and gardens vibrating with life. Bees and other winged creatures flit from bushes heavy with lilac clusters and starry eyed climbing jasmine vines. Lilies and hyacinth and amaryllis open their tender hearts for the whirring and buzzing of life. Their perfumes all meld into a symphony of scent, a bouquet of texture and color that encapsulates spring. As the fragrant spring serenade comes to a close it settles into a lush grassy and very soft earth inspired aroma. This is a gorgeous spring scent that I will happily wear over the next couple of months. 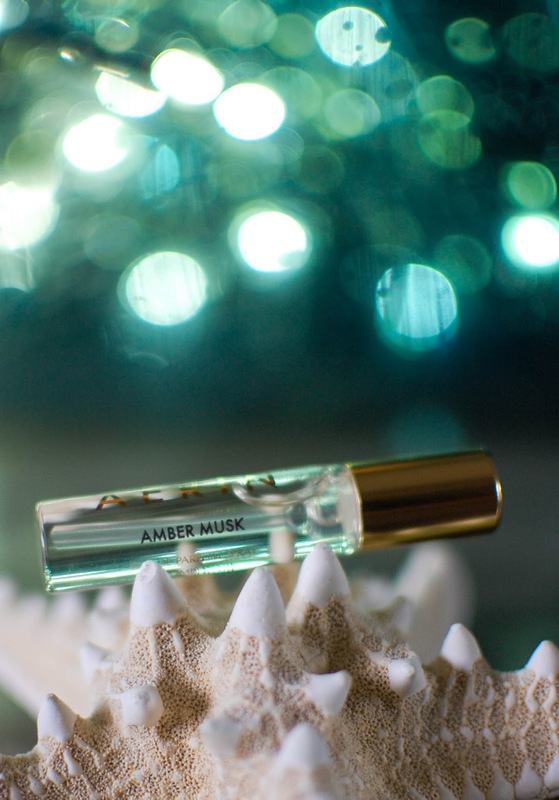 Amber Musk- Notes: Amber, coconut water, rose centifolia absolute, benzoin and musk. The top notes carry the honeyed and nectar laden fruits of the islands on the breeze, warmed by the sun and diluted by the trade winds. Guava, kumquats, citrus, mango and pineapples all lend the merest sliver of their bounty into the golden air. Cracking open the heart of the perfume reveals the tawny liquid warmth of the amber resin. Tempered by the coconut and floating in the spilled essence of plumeria flowers, the amber retains its plush tropical aura. The amber floats upon the skin and merges with sweet balsamic benzoin as it dries down into a pillowy bed of sand by the shore. 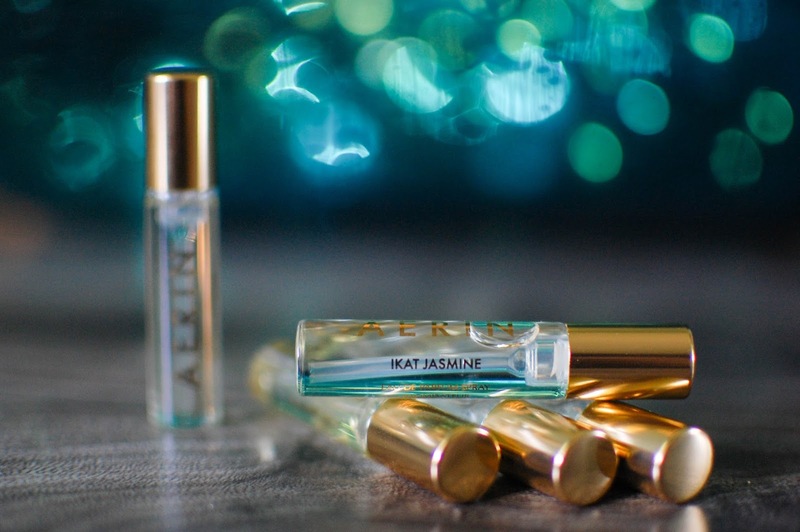 A perfectly sunny yet sensual fragrance for the balmy summer days and nights. Gardenia Rattan- Notes: Marine notes, gardenia, tuberose, tiare and amber. Spry herbaceous top notes dip into an ephemeral creamy, milky bouquet of white florals. The top notes evanesce into a saline heart of aquatic blooms. Seaweed, ambrette and a hint of gardenia swirl about in a sea water potion that is vegetal and a touch salty in its musk. The tide ebbs and it dries down into a driftwood and ambrette woodsy musk. A lovely seaside fragrance for those who enjoy aquatic white florals. Ikat Jasmine- Notes: Jasmine Samac, Jasmine Egypt, tuberose, honeysuckle and sandalwood. Bubbly bergamot and citrus tickles the nose as soon as it is sprayed. 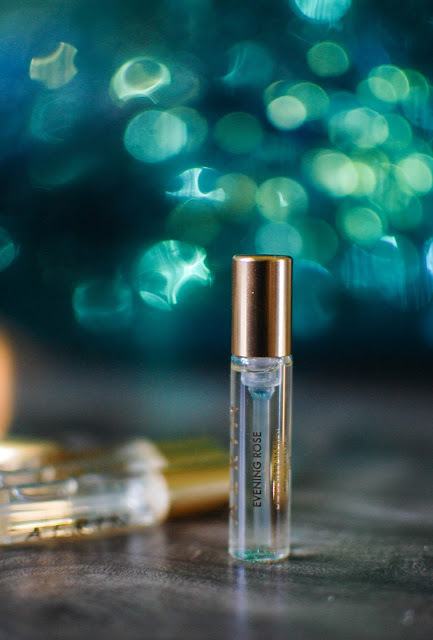 The top notes fade quickly and the jasmine unfurls its pristine buttery petals. A heart of velvety jasmine and indolic tuberose emerges in a narcotic and hypnotizing haze. The heady blossoms are never heavy or opaque but translucent and glowing and gauzy. As it skims into the drydown, the jasmine remains and is warmed by woods. A beautiful fragrance that reminds me that I need to wear jasmine more often. Evening Rose- Notes: Rose centifolia, Bulgarian rose, blackberry and cognac. Lemony sweet top notes gild the edges of peppery yet plummy roses. The heart is a florescence of roses at sunset. Their papery yet darkly sweet perfume lures in the dusk. The faintest deep purple shadows of the blackberry lie under the bellies of the plump roses as the night folds in. The roses quietly blend into the dark and blackberry sweetened woods and amber remain. These are lovely. Thank you so much Ellisa. I cannot wait to spray these Aerin perfumes with abandon. Amber Musk is my favorite of all of these, though they are all beautiful. 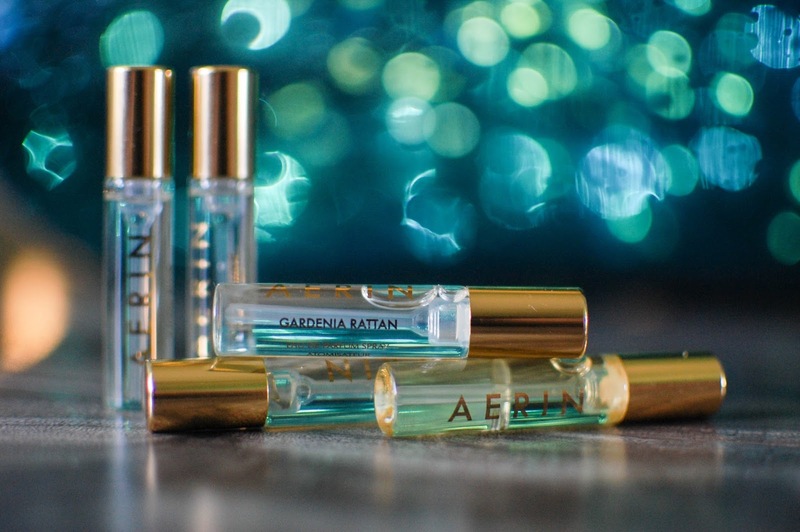 Have you found any fragrant treasures lately? How do you feel about florals?